I like rowing, and I think about the stroke, a lot. A ton. I watch rowing, and I think about how I want my stoke to look, but more importantly, how I want my stroke to feel. There are so many different places to begin talk about the stroke, the catch is usually a good place; it is the start of the next stroke... or the end of the last one. BUT that's not what I've been thinking about over the last couple of days. I've been thinking about the the lats. Specifically how to activate my lats through the first part of the drive to effectively move the boat. The Lats, or Latissimi Dorsi are muscles groups found on either side of anyone's back. They begin in the mid back around the spine and wrap around and end more or less in the arm pit, the muscle as a whole kind of looks like a lopsided trianglel. 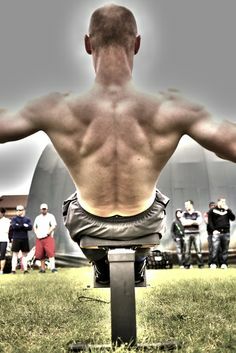 They are the muscle groups, specifically in rowers and body builders that make it look like those athlete's have "wings." The lats have several important functions for the human body, they enable a huge range of motion through the shoulder as well as stabilize the lumbar spine. Also important to note is that the lats connect to the deltoid muscles (the outside of the shoulder) and the triceps (the... underside of the arms). To get an idea of what I'm talking about, stick an arm straight out, and then try and pull the shoulder down, you should feel a big flex right below the arm pit, but also so flexing just outside of your shoulder and in the back side of your arm. Ok, so that's the muscle group, and the groups that I've been thinking about on the water. And now that we have a little physiology under our belts, I want to switch gears for a second. All rowers have heard to terms "hang" or "suspend" before. Coaches love to say it, it's easy to say, it's easy to hear. But rarely have I head a coach explain what that really means. What are we suspending, what are we hanging off of. I think hang and suspend both mean the same thing, we want to hang or suspend our body weight on the handles to to drive the boat forward. Once the blades are locked on to the water we want to try and and leverage our body weight against the oars and foot stretchers to push the boat underneath us to move forward. At least that's how I've understand it. I don't know if this was a mistake I made or something that I learned somewhere, but the way I interpreted that was to use all the muscle groups in my back to suspend off the seat. And while that's a good way to maximize suspension and hang, its not the most optimized way to row and move the boat forward. What that's looked like, for me on the water, is a lot of up and down motion through the drive, as well as digging the oars pretty deep. It's something I've noticed with a lot of the rowers I've coaches as well. I've heard, and I know that I've said "engage the lats to hang!" Well, cool, but what does that feel like and what should the sensation at the catch be. And that's what I've been playing with over the last 5 or 6 workouts. What I've been finding is that the sensation I'm looking for has a lot to do with being patient at the catch... not being in a rush to get the stroke going. For me, its start with the catch (well, everything is connected in the stroke cycle, but lets just go with the idea that I'm already in the right position at the catch), and doing less to put the blades in the water, I think of it as a subtle, slicing motion rather than a drop, this helps me keep everything level at the catch with no big up motions of the hands. Hands level and the catch and shoulders and chest open, like I'm trying to hug the horizon. Once the blades are in the water I let the lats engage through the first part (its through maybe... the first 16th) of the drive and feel the suspension, the hang in the lats and weight transfer from the seat to the feet. Instead of a lifting motion like trying to get my body weight further off the seat and up, I'm trying to take that feeling of hang and use it to force my shoulders into my center line of my body as well as back and down. The sensation I get from that motion is a squeezing of the lats around my spine. Thinking about the lats engaging and bringing my shoulders down/in helps minimize vertical movement, as well as forces my hands to accelerate through perpendicular since the lats are connected to the triceps (important for hanging) and pull the elbows around the arc of the pins towards the body as well. So, all of that was to say: once I engage the legs and lats, I'm using those big muscles groups to whip my hands toward the release, it feels like my shoulders and getting pulled down and back. All of this leads to a shallower drive, less vertical motion through the drive. I hope this is interesting for at least some one, I know it's a strange place to start from, but it's given me a lot ideas for future posts, which I will be trying to get up more regularly.